Netball Scotland strive to Grow, Develop and Succeed in all aspects of our sport. We want to empower our members to achieve quality netball for all in Scotland. For many umpires the first step in umpiring is at their local league. 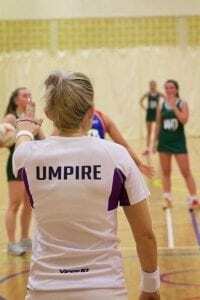 Netball Scotland, in partnership with sportscotland, have created a fund to help support the mentors and the umpires in local leagues to ensure we continue to improve the standard of umpiring across Scotland. We recognise the positive impact mentors have on an umpires development and their progression. Netball Scotland will support all Local Associations and their mentors with additional training and guidance. If your Local Association is interested in applying, the application form and guidance notes are available below. Local Associations can apply for up to £500 for use during season 18/19. It is advised to read the guidance notes carefully before completing the application form. It is good practice to discuss your application with your local Regional Development Manager prior to submitting it. Deadline for all applications is FRIDAY 31ST AUGUST at 5pm. As part of the funding agreement, successful applicants are required to attend a mentor training day on SATURDAY 29TH SEPTEMBER at PERTH COLLEGE, UHI.